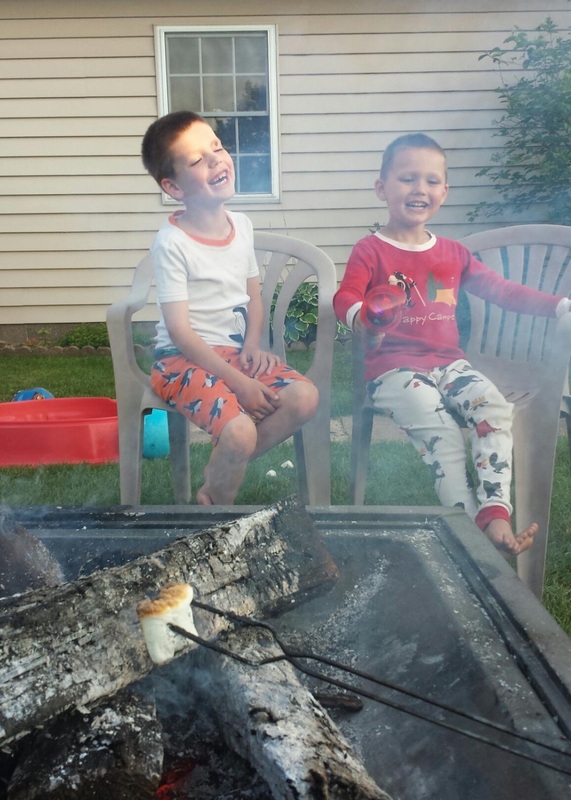 Summer is really-and-truly here in the Upper Peninsula of Michigan, and we are grabbing onto it with marshmallow-stickied hands. 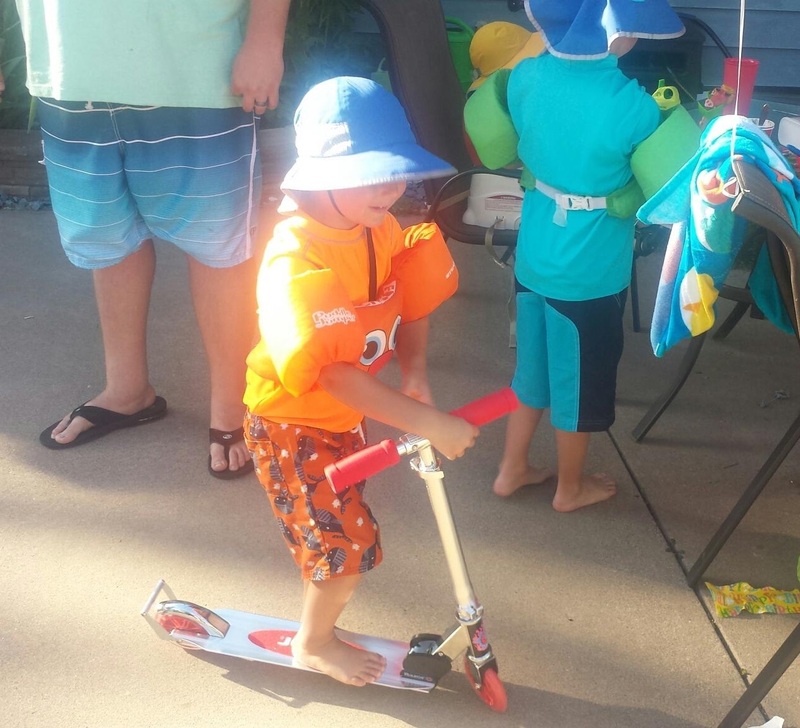 We finally celebrated our son Reed’s fourth birthday with the extended family. 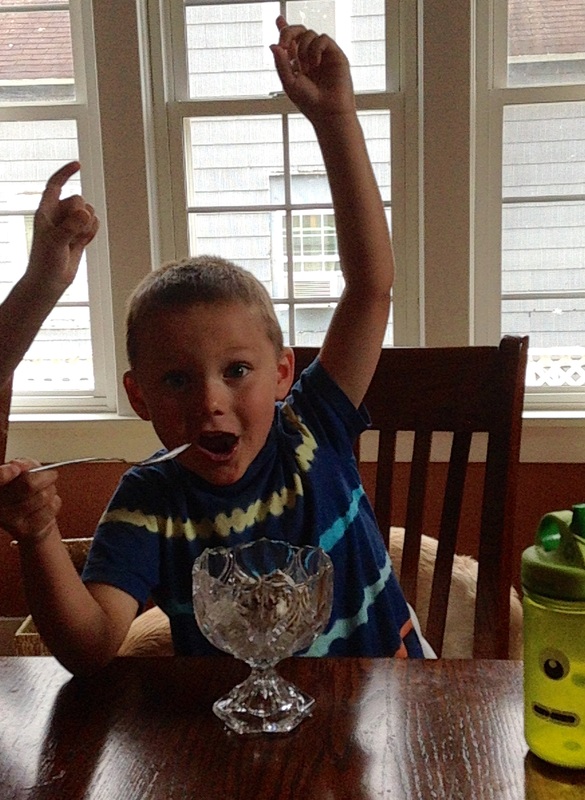 We broke out the fancy dishes and served up his favorite — Oreo Dirt Cake. 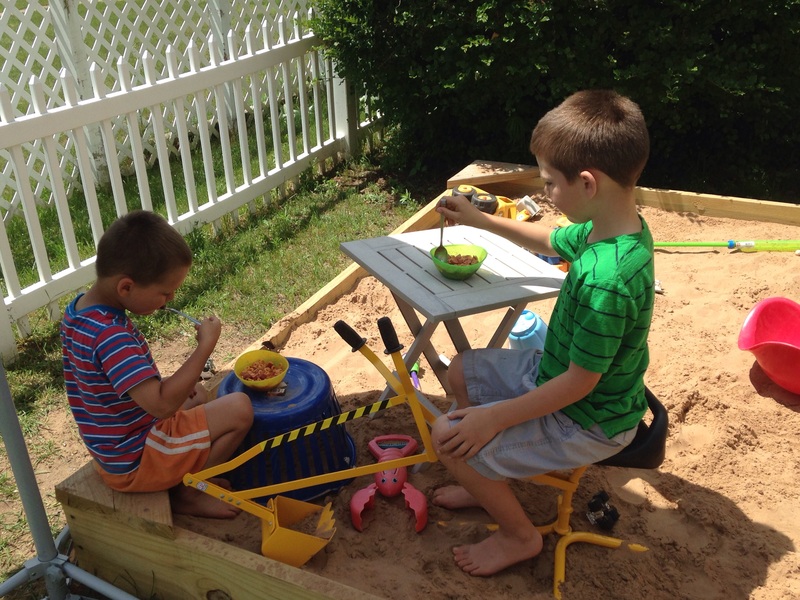 And also with his new sandbox, which turns out to be a perfect picnic spot. 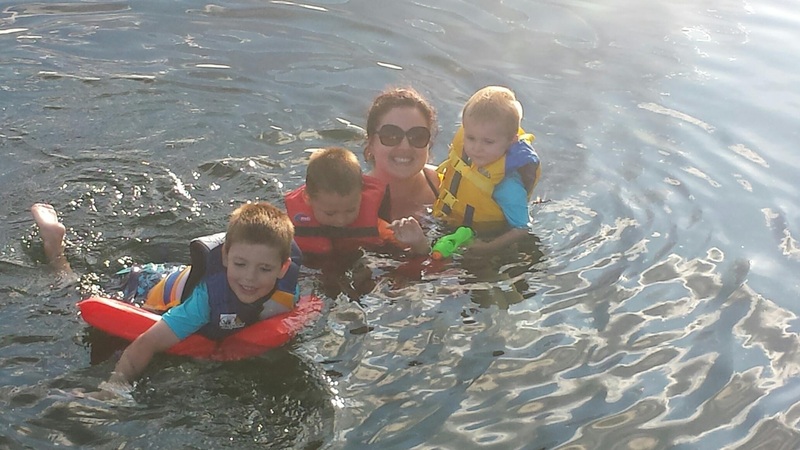 And had our first refreshing dip in the chilly lake waters yesterday evening. There were sub sandwiches and squirt guns and water bombs. There were hoots and giggles I so needed to hear. 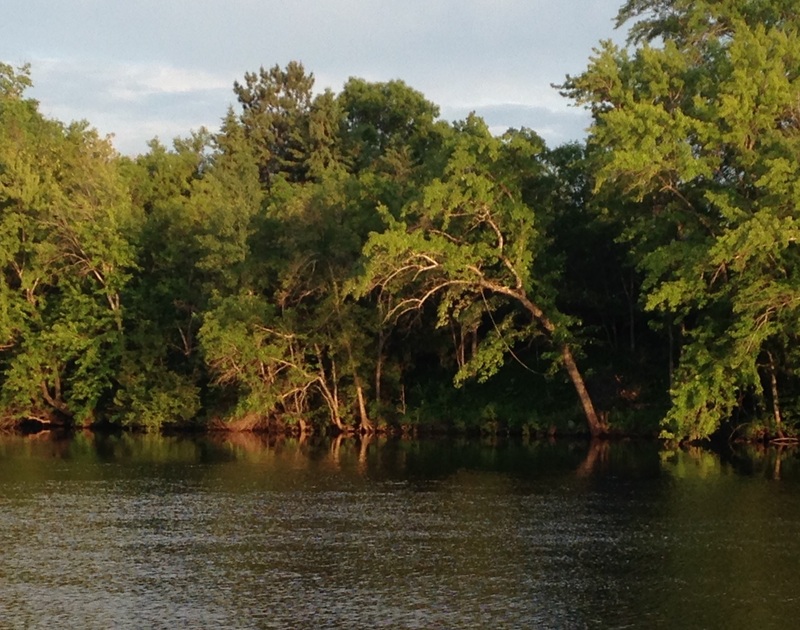 We spotted a crane, a heron, and a supposed shark fin as the shadows lengthened beneath the pines. I’ve been gentle with myself these days, choosing to be present with my grief after unexpectedly losing a dear friend whom we were visiting in New York City. You can read about that experience here, or by clicking over to Human Parts by Medium. 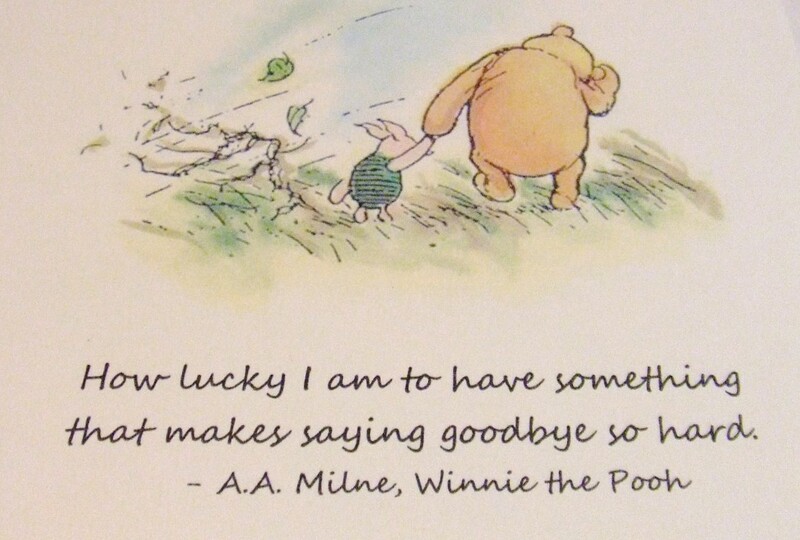 Yesterday, a lovely reader named Kate reminded me of these simple-sweet words from A.A. Milne. I’m holding onto those words today, holding on and paying close attention to my husband, my children, the good things I want to nurture in this unpredictable life. If you’d like to read more thoughts on this, hop on over to Her View from Home and check out Five Things I Want My Kids to See in Me. Thank you so much for being here, for taking the time to read my words and share this journey. I hope the sun is shining where you are, and that you notice something today that you’ve never really seen before. * A.A. Milne photo originally appeared here. Find peace and joy…you had a trauma that requires time to heal. And heal you will, Stacy. Love your writings. Thank you, Nancy. I’m so thankful to have you as a reader. Being gentle with oneself is so important. Find those quiet serene places and be gentle. I like those words. We are about a thousand miles due east of you. The sun is shining today, but it’s only 60 degrees and windy. Summer just refuses to get here. Anyway you could bottle some of yours and send it this way? 😀 Your feature image of all the clothes and towels on the fence made me smile. It’s a sure sign of summer! If you’re to the east, I’ve just gotta believe the nice weather is coming your way!!! Yes, sandy wet swimsuits and towels are a mess I will gladly say YES to, especially after months of snowpants and muddy boots. 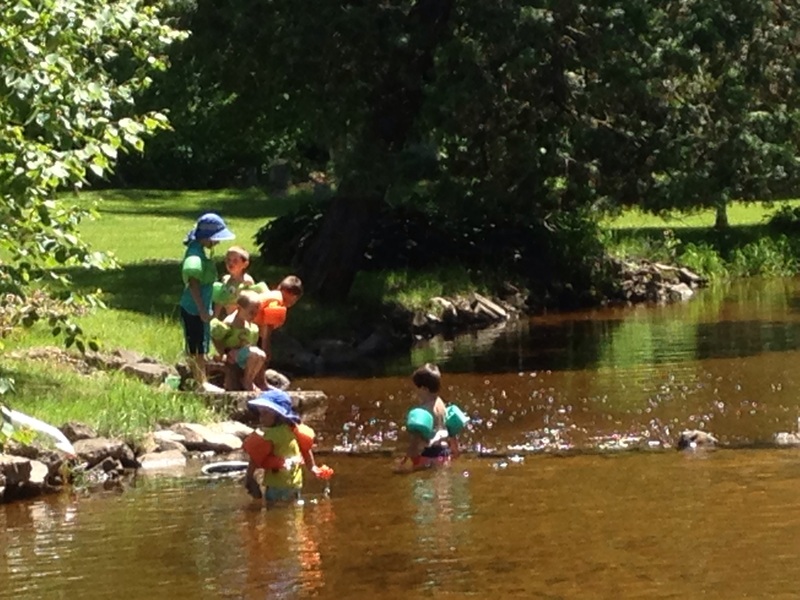 Here’s hoping summer finds you soon! Thanks Stacy. It didn’t get here today… LOL I’ll be watching for it. I’m glad snow pants and muddy boot season is over. Though I’d rather shovel snow than mow the grass.